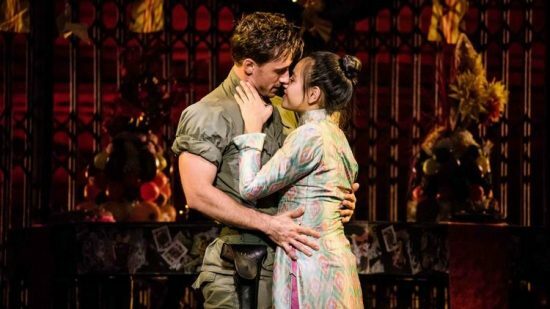 Author Jodie JacobsPosted on November 19, 2018 November 20, 2018 Categories Francine Pappadis Friedman, Guest Reviewer, Reviews, TheaterTags Broadway In Chicago, Jodie Jacobs editor, Miss Saigon, Musical, TheatreInChicagoLeave a comment on ‘Miss Saigon’s’ heat is on! The Black Ensemble Theater, founded in 1976 by Jackie Taylor, has been dazzling audiences ever since with original musicals. 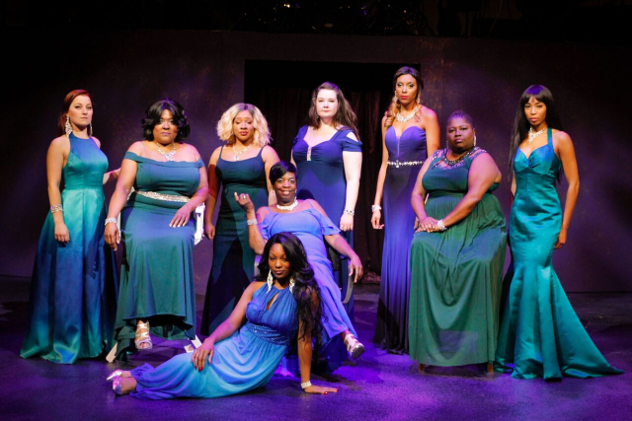 Its current production, “Women of Soul,” written and directed by Associate Director Daryl D. Brooks, is a tribute to many powerful female singers who cover different genres and numerous years. The female cast includes Cynthia Carter, Robin DaSilva, Hannah Efsits, Jerica Exum, Colleen Perry, Rhonda Preston, Jessica Seals, Ariel Williams and Jayla Williams-Craig. 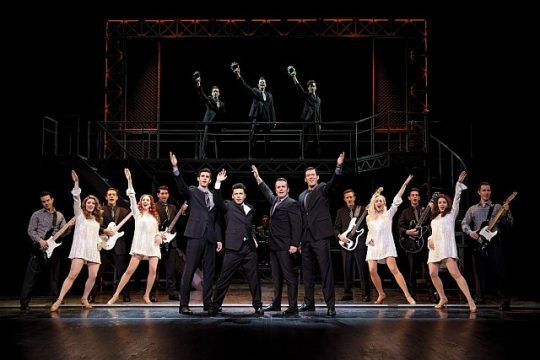 These nine talented women —with one wonderful male cast member, Dwight Neal who plays their various partners—portray well over fourteen famous soulful singers. The production also includes these fabulous musicians: Robert Reddrick, Adam Sherrod, Gary Baker, Mark Miller and Dolpha S. Fowler. 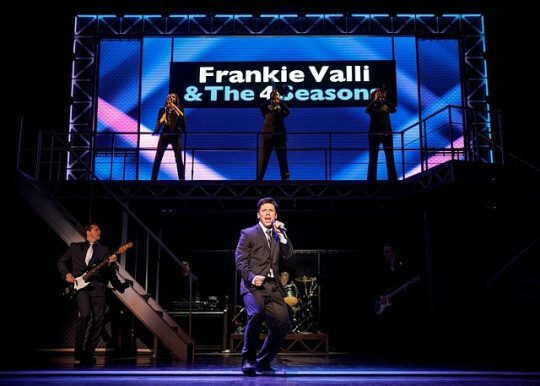 Cast members give the background of each of the well-known singers plus some newly-revealed details such as how their careers blossomed and how some of their lives unfortunately ended. Then the singer portrayed performs one of her hits. From Mahalia Jackson’s “Trouble of the World,” Etta James’s “I’d Rather Go Blind” and Janis Joplin’s “Cry Baby” to Diana Ross’s “I’m Coming Out” and Natalie Cole’s “This Will Be An Everlasting Love,” the fabulous cast practically rocks people out of their seats. An amazing salute to female vocalists, the production also includes hits of Whitney Houston, Anita Baker, Janet Jackson, Mavis Staples, Gladys Knight, Donna Summer, Chaka Khan and more. 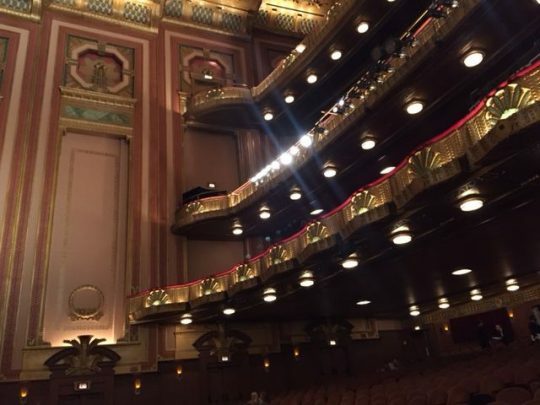 When the cast lined up in the lobby while audience members were leaving the theater, two statements came from my heart: their performances were fabulous and the closing tribute to Aretha Franklin brought joyful tears to my eyes. “Women of Soul” celebrates all women! DETAILS: “Women of Soul” is at the Black Ensemble Theater, 4450 N. Clark St., Chicago, through Jan. 27, 2019. Running time: 2 hours, 30 minutes with one intermission. For tickets and other information call (773) 769-4451 or visit Black Ensemble Theater. Young Prince Pippin, played by Koray Tarhan, is searching for many things to help him fulfill his happiness. From his glory of the battlefield to his political aptitude and his sensual seductions, not only does he come closer to finding his jubilation, but the audience gets to know Prince Pippin increasingly better by the minute. 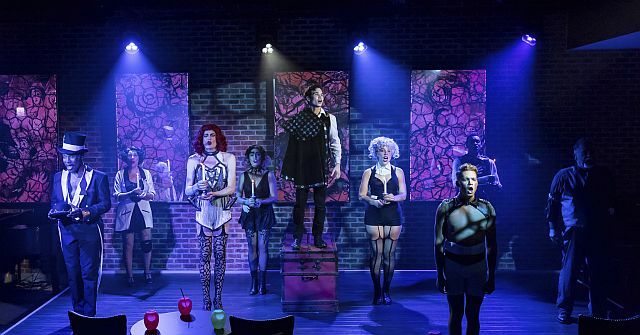 Pippin’s imaginative journey is at the heart of Broadway legend Stephen Schwartz’s classic musical ‘Pippin’ which won four Tony Awards in 2013. 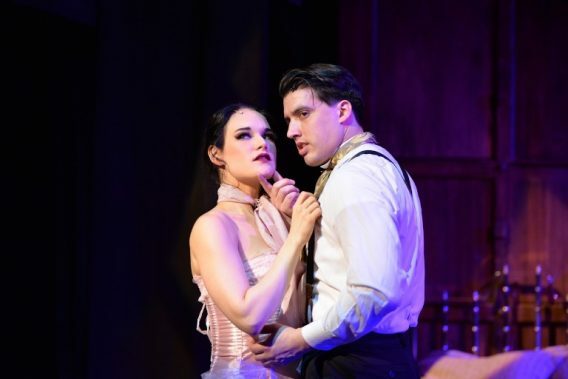 The new Chicago production at Mercury Theater’s Venus Cabaret Theater is delightful. Its captivating tunes “Corner of the Sky” and “Magic to Do” are beautifully played by musicians Courtney Anne McNally, Andrew Milliken, and Diego Salcedo. 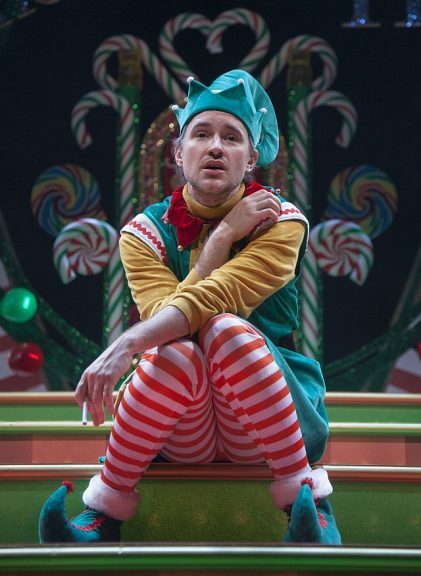 At the end of the play, Pippin finally discovers where his happiness lies. His message is a worldwide, all-embracing theme. 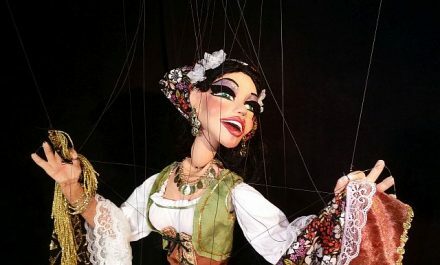 A fabulous cast keeps the delighted audience at the edge of their seats as they watch with amazement as each member displays proficient, multiple skills. The singing is beautiful and the dancing is incredible. 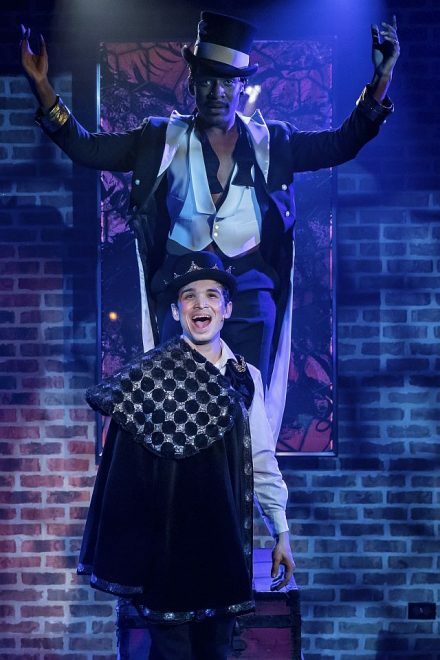 Leading Player is performed by Donterrio Johnson who brings Pippin together with the following characters: King Charlemagne the Great—aka Charles—Pippin’s father played by Don Forston; his half-brother, Lewis, played by Adam Fane and his grandmother, Berthe, played by Iris Lieberman. The cast also includes Nicole Armold, Kayla Boye, Michael Rawls, Gabriel Robert and Sawyer Smith. “Pippin” is directed by L. Walter Stearns with music direction by Eugene Dizon and choreography by Brenda Didier. DETAILS: “Pippin” is at the Venus Cabaret Theater of Mercury Theater Chicago, 3741 N. Southport Ave., Chicago, through Dec. 16, 2018. Running time: 2 hours. For tickets and other information, call 7(73) 325-1700 or visit Mercury Theater Chicago.